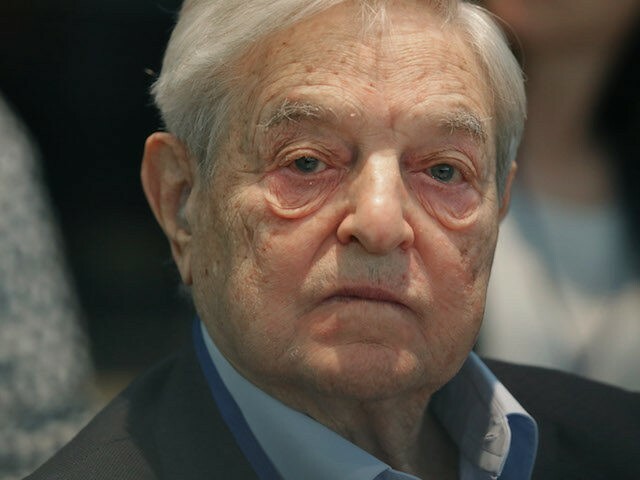 NEW YORK – Just prior to the November 2014 midterm elections, George Soros’s Open Society Foundations held a board meeting at which the organization discussed how it could further the use of President Obama’s executive action authority to bypass Congress during Obama’s final two years in office. Notably, the event featured a lunch session with Cecilia Muñoz, director of the White House Domestic Policy Council. The details were contained in a 67-page hacked file detailing the September 29-30, 2014 Open Society U.S. Programs board meeting in New York. The file was reviewed in full by Breitbart News. There are two years remaining in the Obama Administration, and it is projected by all that the anticipated results of the fall elections will make legislative accomplishments of significance nearly impossible. U.S. Programs (USP) grantees, and the OSF (Open Society Foundations) network more broadly, are thinking about how the administration can cement progress on key priorities through executive actions, while also minimizing problematic developments with long-term consequences. Using three anchor grantees and a former senior administration official as discussants to detail their views of priorities and constraints, we will consider both the most promising substantive areas for executive action (in areas from transparency to criminal justice to wage and labor rules) as well how OSF might effectively further these. Confident that open society goals can be advanced despite the political forecast for the remainder of the president’s term, our grantees are actively involved in exploring the possibilities of executive action in areas of USP concern, including racial profiling, the census, and voter registration. USP has begun to influence the administration’s efforts, as evidenced by our central role in launching the philanthropic partnership to the White House’s My Brother’s Keeper Initiative to promote opportunity for boys and men of color, as well as our ongoing efforts to encourage broad administrative relief to some segment of the undocumented population following the elections. The Foundations’ memo discussed areas of possible executive action that could fundamentally impact the U.S. political system. There are some areas of executive action that have especially long-lasting consequences (e.g., nominations) and other steps which would be critical to framing issues for the 2016 election and the next president. How do we balance the relative merits of each approach? The document notes the public pays less attention to executive decisions during a president’s final two years, believing the president’s powers are on the decline. Muñoz, who served on the Foundations’ U.S. Programs board in 2008, joined the September 2014 board meeting to “discuss the Obama administration’s approach to select issues (criminal justice, immigration) and the remainder of his term,” according to a summary provided by the hacked memo. Direct Health and Human Services to ensure that the federally facilitated health-care exchanges created as part of the Affordable Care Act (“Obamacare”) incorporate voter registration opportunities as required by the National Voter Registration Act (NVRA, or “Motor Voter Act”), and direct federal agencies to find ways to increase voter participation nationwide. Issue guidance interpreting the Americans with Disabilities Act with respect to accessibility of polling places, privacy when voting, and competence requirements. Assist states with voter registration modernization efforts, including statewide database improvements, vote by mail, online registration and voting, and same-day registration. It should be noted that in January 2014, Obama’s 10-person Presidential Commission on Election Administration released its recommendations for reforming the U.S. election process, including transitioning to voting via tablet computers and other technologies. Continue to prioritize racial, ethnic, and gender diversity of federal judicial nominees, and focus on nominating lawyers with a diverse professional background as well. Encourage Senate leadership to continue to support simple majority votes for cloture on judicial nominees and a reduction in the number of debate hours on judicial nominees. Reform the Senate Judiciary Committee deference to the “blue slip” procedure when there is inaction/obstruction by home-state senators that lead to lengthy delays in the nomination process.